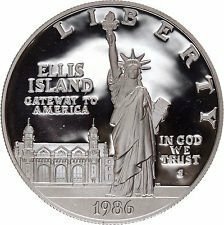 Deep mirror proof silver dollar commemorating the Statue of Liberty and Ellis Island, the gateway to America. 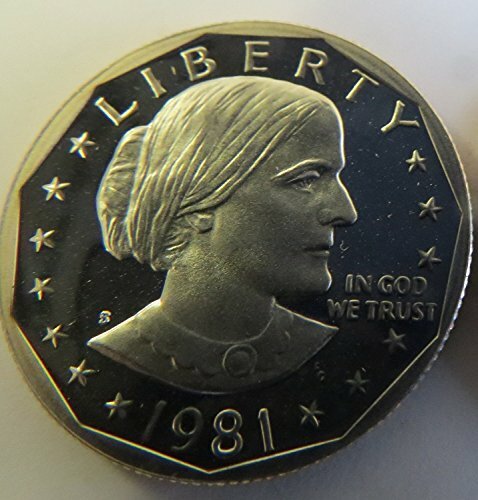 The obverse features Liberty, with the Ellis Island Immigration Center in the background. The reverse depicts Liberty's torch with the words GIVE ME YOUR TIRED, YOUR POOR, YOUR HUDDLED MASSES YEARNING TO BREATHE FREE. Hand-picked for quality and eye appeal. 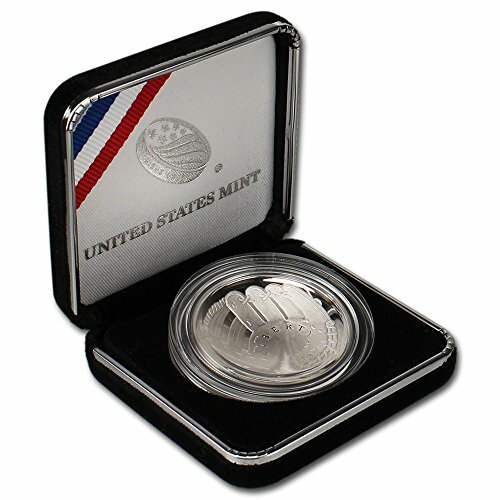 90% silver coin, on hand and ships immediately. You get a Ike dollar in the US Mint box. All proofs have been pre owned and may have slight blemishes in the coins or packaging. Outstanding coin, deep strike with a mirror-like finish. 40% silver. 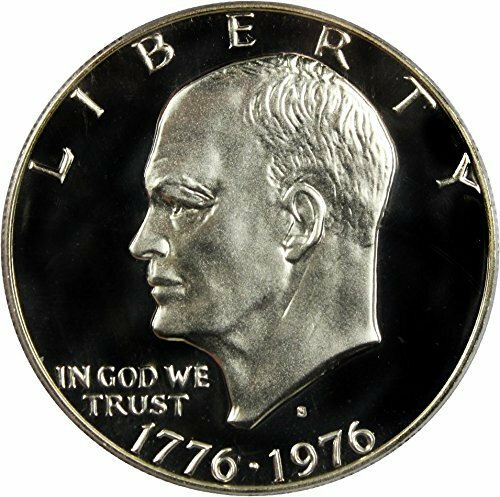 Issued in conjunction with the Bicentennial coinage from 1976. Dollar carries 2 dates, 1776-1976. Hand picked for quality and eye appeal. 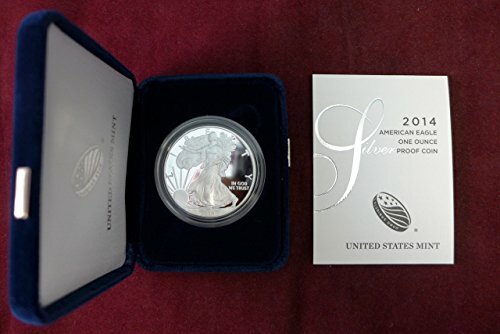 2014-P US National Baseball Hall of Fame Commemorative Proof Silver DollarThe United States Mint certifies that this coin is a genuine 2014 National Baseball Hall of Fame Silver Dollar, minted and issued in accordance with legislation passed by Congress and signed by the President on August 3, 2012, as Public Law 112-152. This coin is minted in recognition and celebration of the National Baseball Hall of Fame. This coin is legal tender of the United States.Coin DesignsThe obverse (heads side) design of the 2014 National Baseball Hall of Fame $1 depicts a glove that, combined with the baseball design featured on the reverse, exemplifies the most basic elements of our national pastime or a simple game of catch in the backyard or at the local sandlot. Inscriptions are: "LIBERTY", "IN GOD WE TRUST" and "2014".The reverse (tails) design features a baseball similar to those used by Major League Baseball. Inscriptions are "UNITED STATES OF AMERICA", "ONE DOLLAR" and "E PLURIBUS UNUM".The "Stock Images" used in this description are an indicator of the quality of the item you will receive. The actual item you will receive is guaranteed to be as described and depicted. 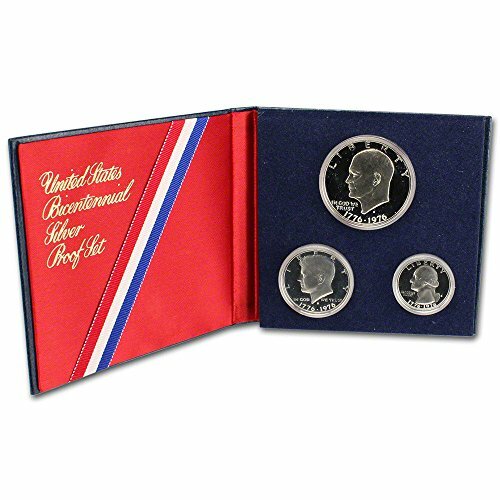 1776-1976-S United States "Bicentennial" 40% Silver Three Piece Proof Set . 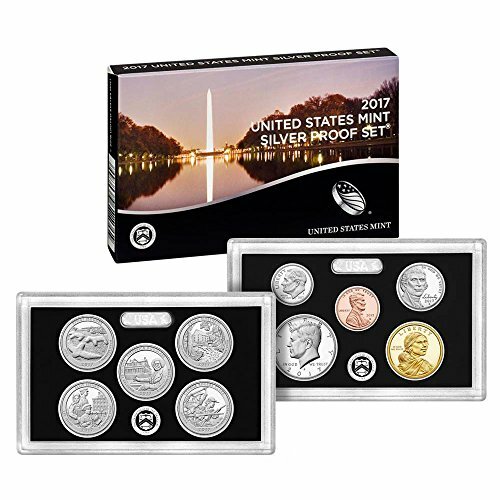 The 2017-S United States Mint Silver Proof Set contains 10 coins in stunning proof condition displayed in two protective lenses. Each of these 2017-dated coins bears the "S" mint mark of the United States Mint at San Francisco. 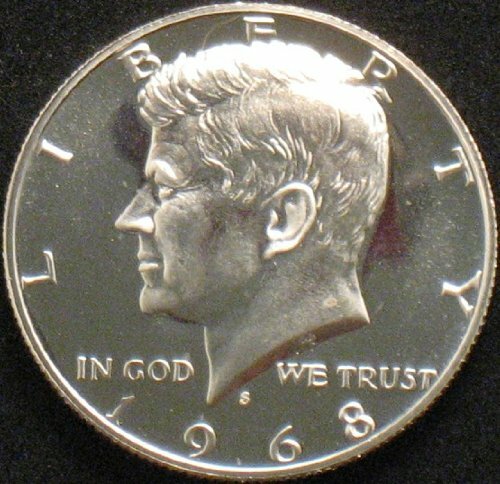 The quarters, half dollar and dime are struck in 90% silver, generally referred to as "coin silver. "The coins included in this set are: * (5) silver quarters from the America the Beautiful Quarters Program saluting Effigy Mounds National Monument in Iowa, Frederick Douglass National Historic Site in Washington, DC, Ozark National Scenic Riverways in Missouri, Ellis Island in New Jersey and George Rogers Clark National Historical Park in Indiana * (1) Native American $1 Coin with the reverse featuring a profiled likeness of Sequoyah writing "Sequoyah from Cherokee Nation" in syllabary along the border of the design. 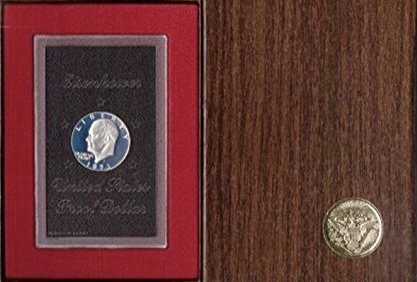 * (1) Kennedy silver half-dollar * (1) Roosevelt silver dime * (1) Jefferson five-cent coin * (1) Lincoln centThis brand new set comes complete in its original US Mint packaging including the Certificate of Authenticity.The "Stock Images" used in this description are an indicator of the quality of the item you will receive. The actual item you will receive is guaranteed to be as described and depicted. Coin World visited the West Point Mint recently to see one of the biggest releases of 2016 being produced. $20,000 Morgan Proof Silver Dollar! From my friend's collection, this is a PF67 proof silver dollar. Check it out! 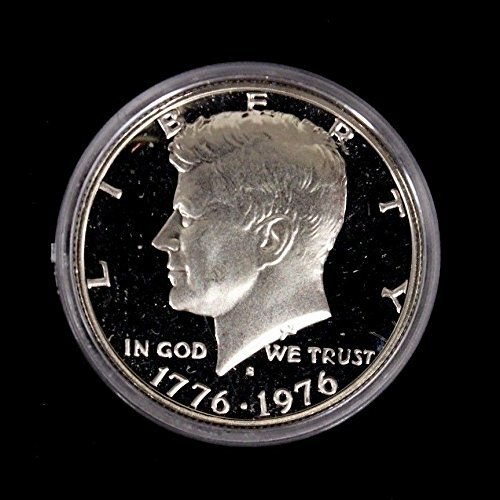 Compare prices on Proof Silver Dollars at ShoppinGent.com – use promo codes and coupons for best offers and deals. Start smart buying with ShoppinGent.com right now and choose your golden price on every purchase.